Happy March! Ah, where does the time go? It seems like only yesterday we were celebrating Christmas and New Years! Suddenly, spring is upon us, and we are already looking ahead to summer. Time sure does fly when you’re having fun! There are several exciting things happening at Zojirushi right now. We’ve got new recipes, new announcements, and some fantastic new products to share with you this season! This is a magnificent time of year to be in the kitchen, and we are overwhelmed with the variety of fruits and vegetables coming through our doors. We are still seeing beautiful winter produce from tart and crunchy granny smith apples to spicy winter lettuces. At the same time, Spring produce is just starting to bud with items like fresh artichoke, baby asparagus and the labor-intensive fava bean! Our kitchens are overflowing with inspiration, and we hope yours are too! As we straddle the timeline between winter and spring, we can’t help but look forward and back simultaneously. The Spring Equinox is the best time to let go of whatever it is you’re still holding on to from winter, and give life to dreams and goals for Spring. If there is anything you are still hoping to change or achieve this year, now is the time to set that intention. The Equinox will fall on March 20th. You might want to take time that week to sit in silence and quiet mediation. We are planning on it! Please read on for fun tips, recipe inspiration and product information. 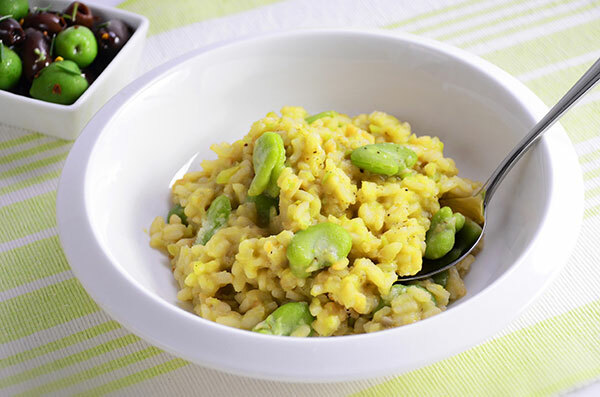 We hope that your Spring is filled with happy memories and delicious cooking. Here’s to you! 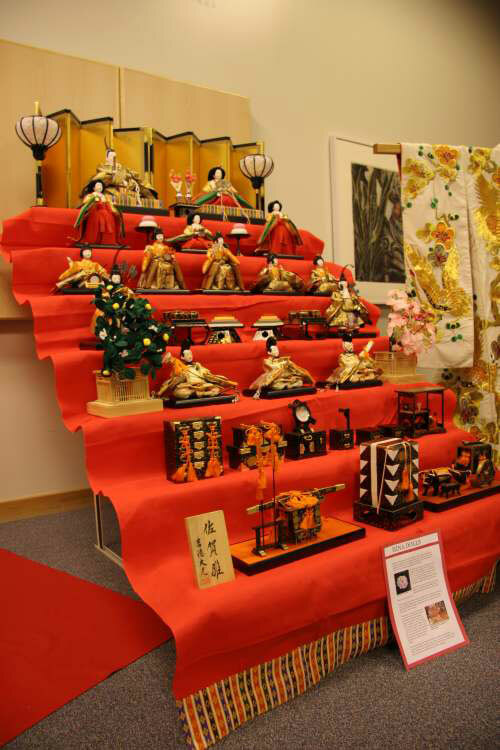 Every year on March 3rd, we display beautifully crafted dolls in celebration of Hinamatsuri or Doll’s Day. 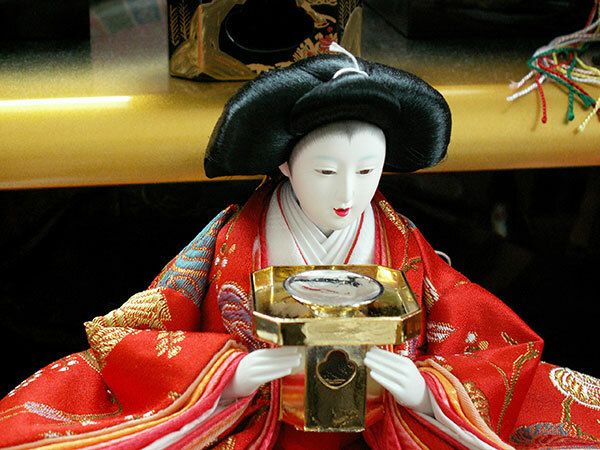 The dolls are meant to represent the emperor, empress, attendants and musicians of the Heian Court. While the dolls do a wonderful job showing off the style of the period, they represent much more than just ancient royalty. The dolls are a powerful tool used to ward off evil and bad spirits. Back in the Heian period (794-1185), people actually believed dolls had the power to hold evil or negative spirits. They would gather the dolls up, and send them out to sea on small wooden boats, hoping that the dolls would carry their troubles with them, and clear them of worry and anxiety. How does that sound for catharsis? The funny thing is that, eventually, the dolls would become caught in the nets of local fishermen. This became such a huge problem, the ritual had to be changed! These days, people still send the dolls to sea, but pull them out after some time. Finally, the dolls are burned– destroying evil spirits once and for all. At least for that particular year! It is believed to be bad luck to leave one’s dolls on display past March 4th! 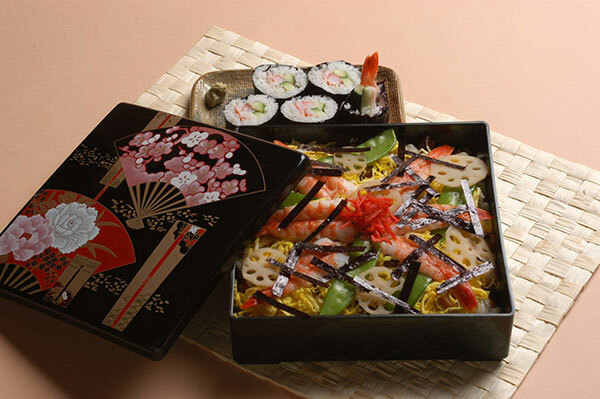 Like all great Japanese holidays, Hinamatsuri would not be complete without a very particular kind of food. On this special day we drink a fermented rice wine with sweet notes called shirozake. In addition to this unfiltered sake, we enjoy bite sized rice crackers called hina-arare, hishimochi, a diamond shaped tri-colored rice cake, and our personal favorite, chirashizushi. Chirashizushi is a mixed “sushi cake”, if you can picture it. It is a celebratory treat, and fun because you can really make it your own! We wanted to share our special recipe for “Gomoku-sushi”, which is a type of Chirashizushi – just in case you wanted to try! Enjoy! Fukinoto, or Fuki, is one of the things we miss most about Japan! This unique plant can actually be found growing wild throughout the country. Sadly it is difficult and almost impossible to find and grow here in the states. Often foraged from the wild and always enjoyed once prepared, the stems of this vegetable taste kind of like celery. They are prepared in the same traditional way throughout Japan– the shoots are cooked in miso soup, while the buds are fried in a tempura batter. 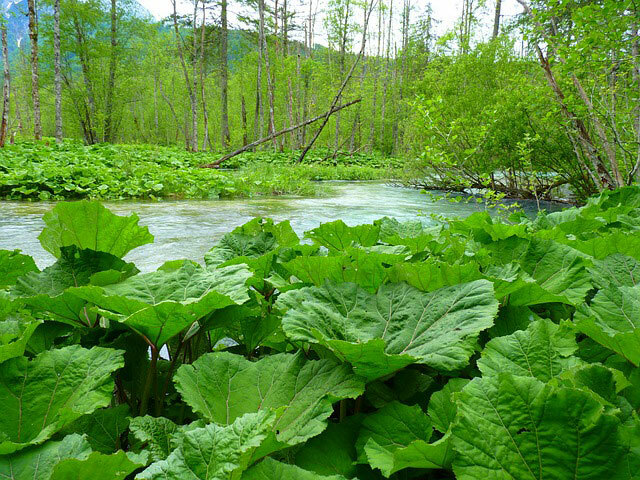 The sight of Fukinoto throughout Japan is a sure sign of spring’s start! We like to think that the bitter taste helps cleanse the body of winter’s heavy fare – preparing us for the lighter fare of the season. If you have ever heard Fukinoto we would love to hear where and how. It is an unusual item and wonderful conversation starter! Happy foraging! Saibashi is not a subway stop in Tokyo! For those of you “un-initiated” into the cooking tools of Japan, prepare to be impressed! Seemingly simple and unassuming, Saibashi can be described simply as, ‘really long chopsticks’. They are much, much more than that. Saibashi are widely considered one of the most important tools in the Japanese kitchen. Saibashi are so incredibly useful that most Japanese chefs can’t live without them. 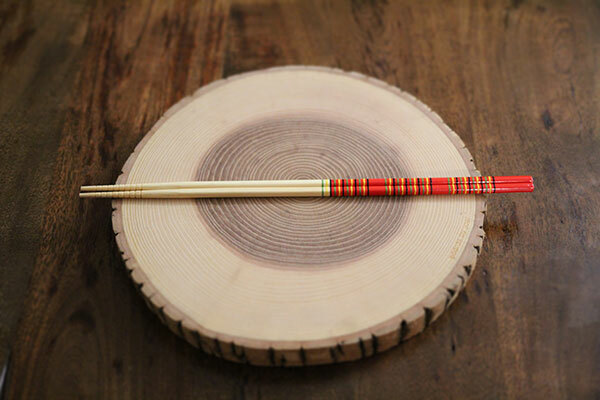 Although they resemble chopsticks in shape they are much longer and serve a different purpose. From sautéing hot dishes to plating small ones, there are countless ways to use these beloved tools. Because of their length chefs are able to reach the bottom of a pot as well as using saibashi to stir stews and soups. The best part is, you can buy them online for about a dollar a pop! So go ahead, and prepare to be impressed. Grab yourself a pair of really long chopsticks and see how they enrich your kitchen life! Enjoy! This month we are celebrating one of our favorite and cutest products in the catalog! The Home Bakery Mini Breadmaker is perfect for singles, small families and those of you looking to “lean in” to making bread at home. 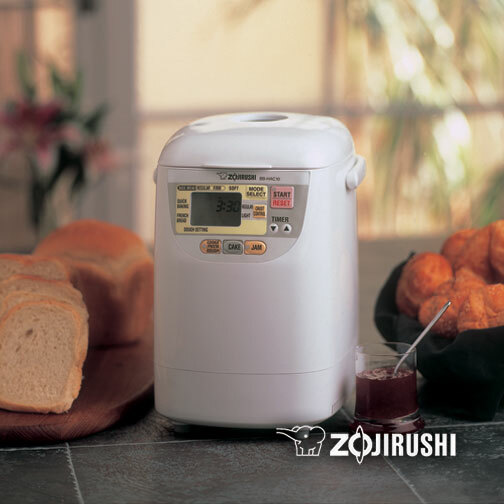 This no fuss product makes tasty 1 lb loaves of bread in less than 2 hours. It also makes dough for cookies, & pasta, as well as homemade jam and even bakes a cake. Now you can say goodbye to chemical additives and artificial preservatives, and enjoy fresh bread at home! Here’s to you!